LinkedIn is a perfect place to start looking for a career and what a perfect place when you are a Graduate fresh out of University looking for the next step and phase of your true career. LinkedIn can connect you with many people from all walks of life that can help you and guide you into the right path, company, industry etc. Below is a list of some of the tips that you would need for using LinkedIn and why you would use LinkedIn for your search as a newly qualified graduate in your field. You can use LinkedIn as a research tool. There are many people using LinkedIn from all different companies and industries and who you could use for terms of research into what type of company, industry and location that you want to enter into. You may be able to use people’s knowledge and experience to point you in the right direction in the early stages of your career. What contacts do you have already and what contacts can you make through your contacts and people that you know? Contacts are key in finding new roles and making new contacts. Making new contacts through the proper channels is a form of networking with every professional these days needs to be part of. Connect with the people you know to extend your own network. This will be of great benefit in the long term as people who you are connected with will be connected with other people and it may be an opportunity to match up through relevant skills and knowledge. Can you try and connect with people in the same industry as the one that you are looking to get into? Is there a proper way of connecting with these people without seeming as though you are stalking them? If so then what better way than to connect with people already working within that industry even if it is only for advice. Through LinkedIn you could get advice for like minded people and find out what information related to that industry you can find. Its a brilliant networking tool and one where you can talk to like minded professionals. 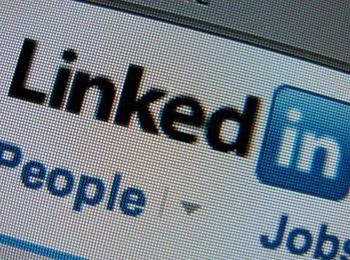 Using LinkedIn is like your CV being advertised all the time online. Make sure that because of this that your CV looks good at all times and is perfected and tweaked and kept updated so that people looking at your details are looking at the most up to date details they can at all times. Your profile is a big part of what sells you so you must ensure that you tailor it well to your specific role, industry and experiences and make sure that employers are reading what you want them to know about you. This is the part that you need to ensure they read and understand about your skills and experience and this is the bit that you want to wow them with and make sure that they contact you. Make sure that your photo is personable but business like. No silly photos, make sure that you are the only person in the photo, not with your friends or family, this is meant to portray your business situation and your photograph needs to reflect this. Make sure that the jobs that you are applying for are relevant to the roles that you are done. Only include appropriate jobs, people do not need to know about jobs that do not reflect your experience, they only want to know how you can do the job they have vacant and improve upon it with the skills that you already have. Get endorsements and recommendations from colleagues and Managers that you have worked with before. This will show to others, potential employers that you have done x,y,and z for someone before and they will be able to relate it to the work that they are interested in you doing.